Tom Holdman working on the project in his Lehi studio. 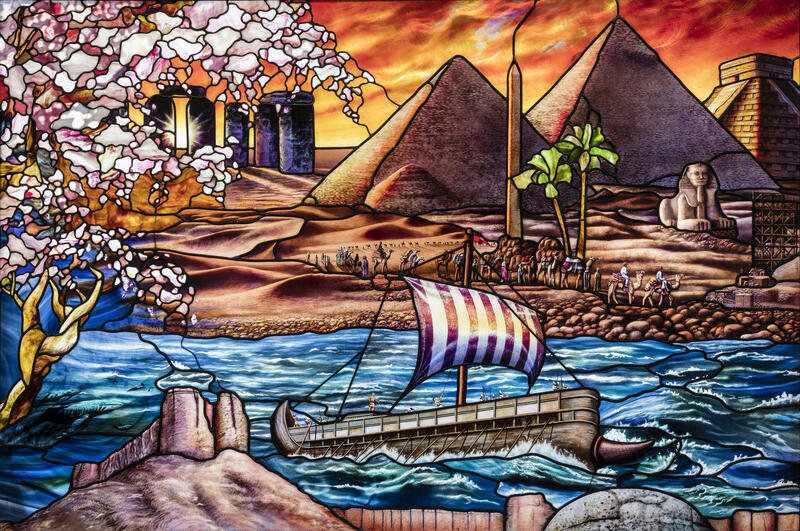 Utah Valley University on Friday unveils a stained glass art installation called "Roots of Knowledge," an ambitious project that has taken more than 12 years to complete. The exhibit is found on the bottom floor of Utah Valley University's library. “At one end there’s a 30-foot window showing the tree of knowledge, which is actually the Methuselah tree, the oldest tree is in the world," says communications professor Stephen Whyte. Whyte describes how the branches and roots of the tree span the entire 200 feet of the artwork, which is made up of more than 60,000 pieces of glass. It’s extremely detailed and it’s meant to depict the entire history of knowledge and learning. A pretty broad subject, which is why you find everything from the founding fathers to constellations to the Pyramids of Giza. Detail from one of 80 panes of glass. “With the sun shining through them, it will just be an illuminating, brilliant, beautiful room,” says Whyte. Glass artist Tom Holdman and a team at UVU collaborated on the project. Over 350 students have been involved over the years. “It’s been this very rich interactive experience between the artist and Utah Valley University in general,” says UVU President Matthew Holland. 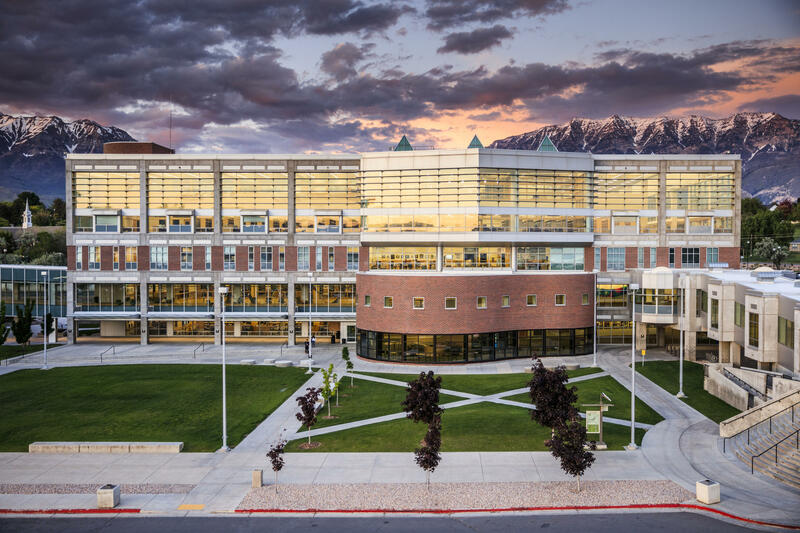 Holland is proud that his university has always been known as a practical option for students in Utah, a place to get quality vocational skills. But Holland says UVU has matured a lot in the past few years. “One of the marks of a serious university, a serious institution of higher learning, is a commitment to the arts,” says Holland. "Roots of Knowledge" is meant to be evidence of that commitment. And Holland is excited to show it off. In fact, he recently returned from trips to New York City and Oxford University in England where some of the panes of glass were on display. The UVU library where Roots of Knowledge will be on display. It was in England that Holland heard his favorite compliment, which came from a baroness who was very excited by what she saw. Holland believes if you can impress the British you know you’ve created something pretty special.